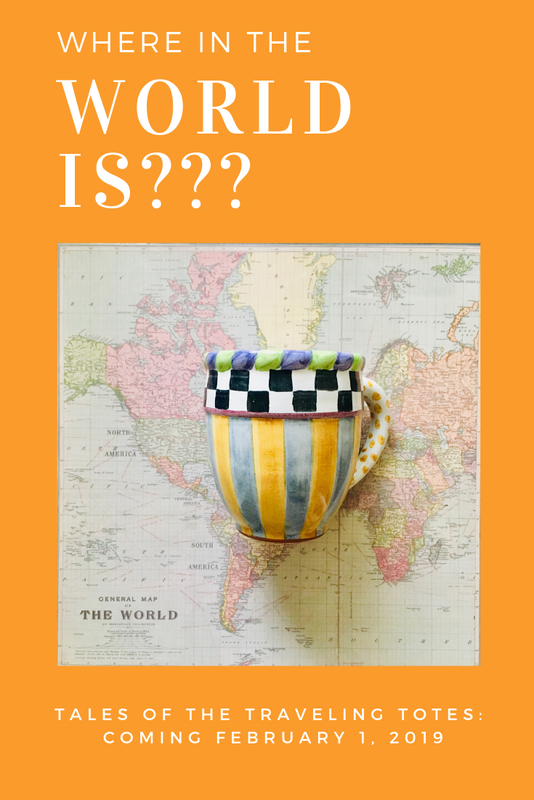 Pandora's Box: Where in the world is.....Contest and GIVEAWAY! Not only does my tote travel with me, but sometimes my dishes do, too! You will be entered for a chance with each correct answer...Good Luck! Winner of this luggage tag will be notified on Wednesday Feb 7th! Tales of the Traveling Tote series! You are so darn cute in your winter woolies, Patti! 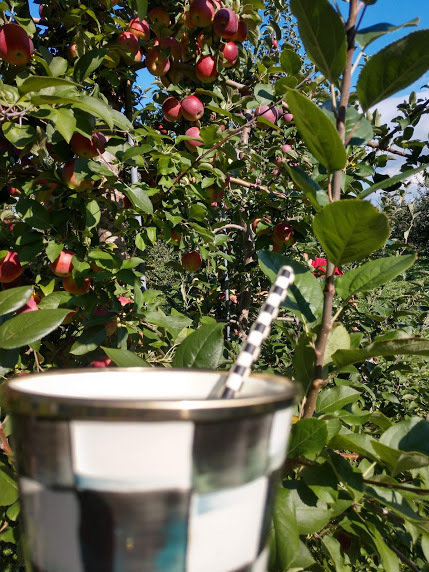 I love that you used your Flower Market mug there (my lips are sealed as to where!). I have so enjoyed each tribe member's take on this unique post. I only wish my project was past me to have joined in the fun. What a great little token for readers to receive by participating! Oh what fun Patti! I love all your styled scenes! 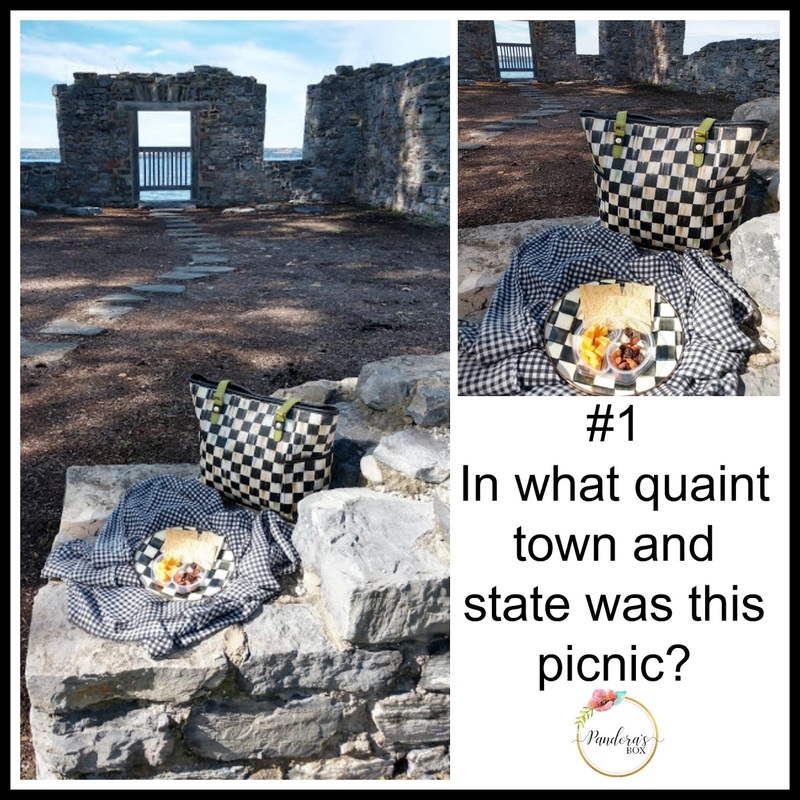 I have no clue as to where your picnic was, but I do recognize Niagra Falls, Canada perhaps? Cute luggage tag! Thanks for coming up with this idea, much fun!!! And the Alabama chapter of the TTTs really enjoyed it! Looks like you're having fun at Niagara Falls, Canada! What fun you have had. You look darling in your winter garb. Good luck to the lucky winner. I have no clue to where you are. I am so sorry I could not join you on this Traveling Tote post. We have been so busy caring for my mom. I recognize Niagra Falls in Canada, and I'm going to guess Skeneateles (sp?) or Aurora NY for your picnic, although I don't recognize the spot. Now I'm curious, and can't wait to see where it is! 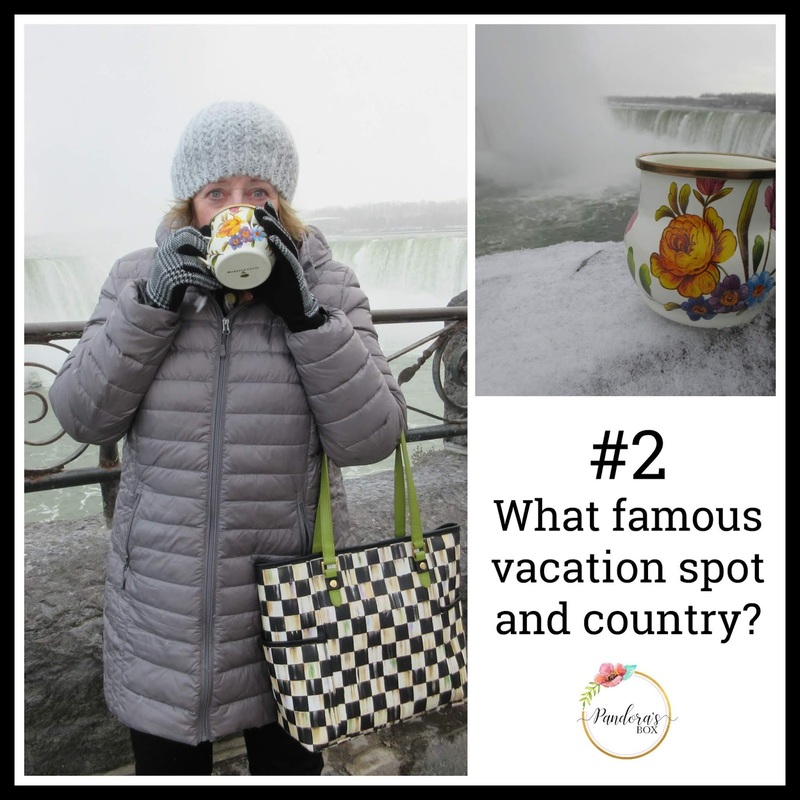 Well, I can figure out #2 - Niagara Falls! 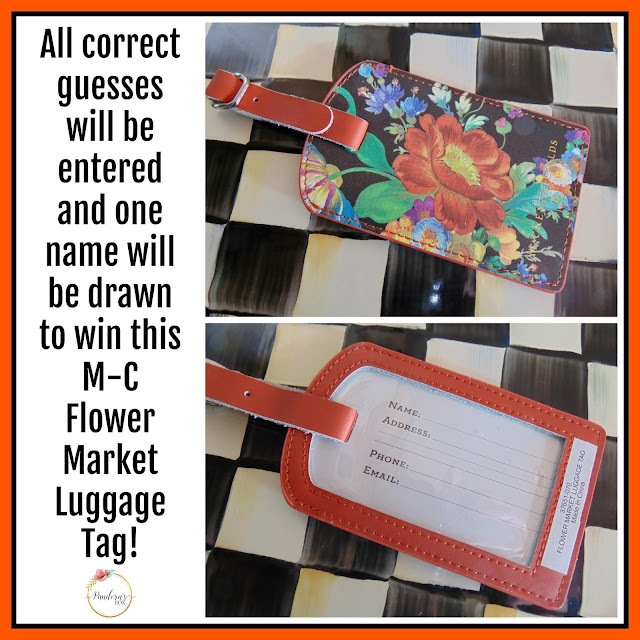 Still working on the first one and determined not to peek at the previous answers...Such a pretty luggage tag! Looks lije Niagra Falls to me as well. Yes looks like Niagra Falls to me as well. Patti. 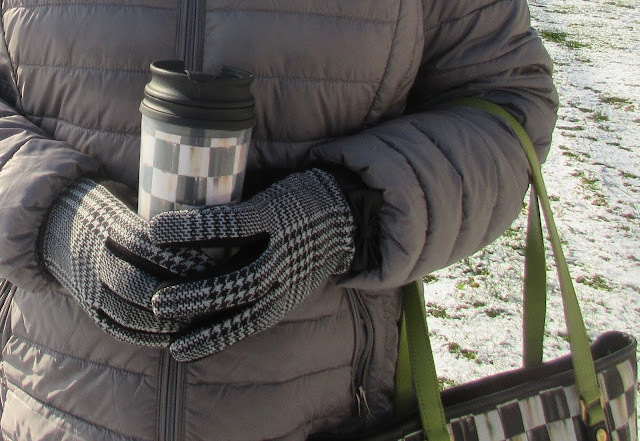 I admire that you can live with those frigid temperatures, but I admire even more that you can look so cute all bundled up. Me, I look like a bear! 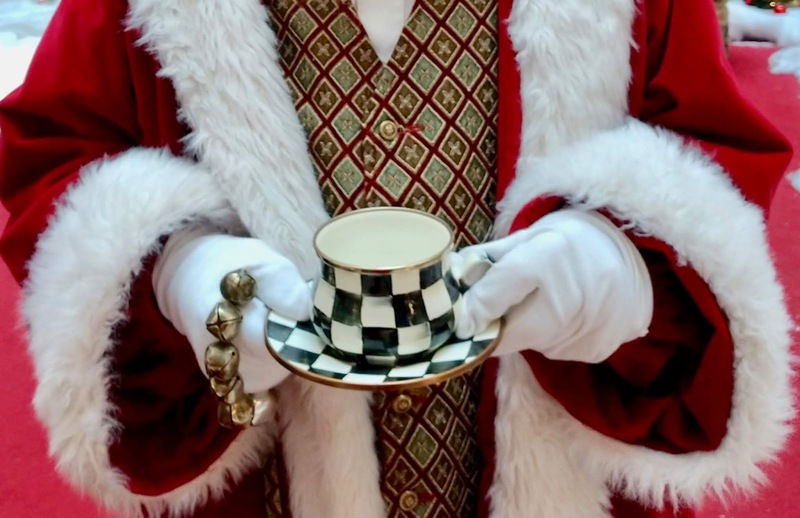 This is a great post Good luck to all the readers. Stay warm, my friend! 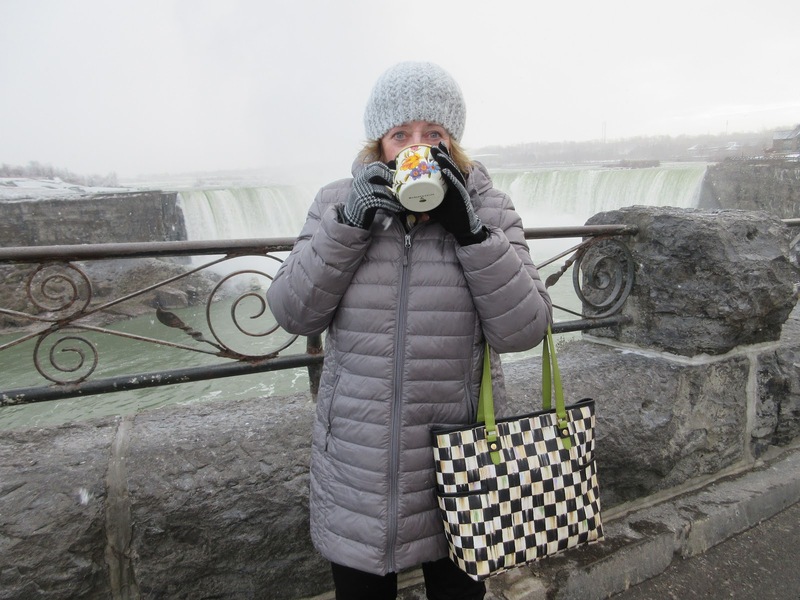 How fun to be enjoying a warm beverage with the frigid temperatures, surrounded by the powerful Niagra Falls! Oh you are so fun! I love that you included your past posts too. I hope someone can figure out the second spot. It is beautiful and your picnic is so fun. Good luck to the winner. Going to guess number one is the winery in Upstate. And that number two definitely is Canadian side of Niagara Falls. I’m from Bingo and feeling a little guilty being in Florida for the winter! Haha thanks for the fun!! Traveling is so much fun! 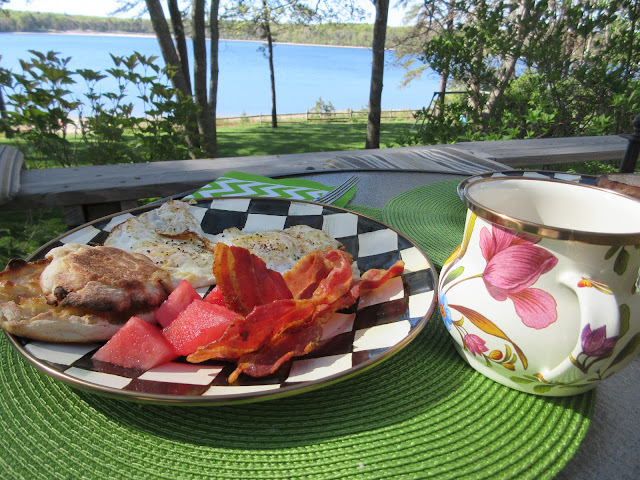 Cape Cod is on my "go to" list! We love the northeast and have been to Boothbay Harbor, Salem, and several towns in Connecticut and Vermont. Love your photos! Have a great weekend! Love and hugs! Niagara Falls, Canada! Looks cold, but you look cute in your winter wear! Your mug and dishes look right at home in Cape Cod. Hope our North Pole subsides for a while, and I'm looking forward to almost 50 degrees next week! I know that quaint town and it will be calling my name this summer. Love the luggage tags. Have a great weekend. Hello from Texas! The first one looks like an old fort in Maine. The second is Niagara Falls, Canada. You look cute and warm! You look so cute all bundled in you down coat, Patti! I'm not sure what quaint town you visited in the Fall, but I'm guessing Niagara Falls for winter.